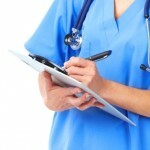 Home › Blog › Doctors, Healthcare Reform › Does Your Doctor Have a Conflict of Interest with You? When doctors sell their practices to hospitals or networks, they are typically restructured. When they restructure, the new arrangement can put the doctor under more pressure to treat you (the patient) more “economically,” so as to generate more income. This can mean ordering tests or prescribing medicines that you may or may not need – things that are more for “let’s just be safe” that would be avoided in a private practice. What does this all mean for you as a patient? Other than potentially higher medical costs, possible deterioration in treatment, and a lack of personal attention as a person, it boils down simply to a conflict of interest. In other words, there is a discord regarding what is in your best interest according to convention and how the doctor or hospital treats you. It may not seem like there is much you can do in situations such as these. After all, you want to trust your doctor and not put yourself at risk. That being said, there are some simple steps you can take to make sure you’re getting the best care possible without compromising your health. When your doctor is recommending tests or treatments or hospitalization for you, ask if you really need it and if the doctor would do the same for a family member. For more information about types of conflicts of interest and how to deal with them, see Chapter 4 “Medical Errors and Dangerous Doctor Traits” in book Surviving American Medicine.